Installing window film in your commercial space can save you money on your heating and cooling costs. With windows films UV protective qualities, your floors, furniture, and expensive art work will be protected. Window film helps you save money on your energy costs, which equals higher profits for your business. Contact Window Film Salt Lake City for a free consultation! Installing window film can protect your floors, furniture, as well as your skin from UV sun rays that can cause major damage. Window film also provides a fast ROI. Window film insulates your windows, raising the R value like added insulation. This adds up to lower heating and cooling costs all year round. Reducing the need for your air conditioner during the summer can save you money. Installing window film blocks the heat from entering your home through your windows and saves you money on air conditioning costs. Window film offers government and non profit organizations fast returns for a minor initial investment. If you would like to learn more about window film, contact Window Film Salt Lake City today. Window film is the perfect solution for non profit or government agencies that are looking to save money on energy costs for a minimum investment. If you would like to learn more about any of our window films, contact Window Film Salt Lake City Today. Window film can give your retail or commercial space some extra privacy without taking away from the overall style. Decorative window film is a cost effective, easy way to decorate your business space. Since window film can be customized to fit any style, its perfect for branding your business. Owner Martin Faith explains his experiences with window film. Window Film Salt Lake City is proud to install Vista, Enerlogic, and Llumar window films. Some of the benefits you will experience after installing window film are energy savings, safety, as well as fade protection. We carry a wide variety of window films including energy efficiency, fade protection, anti-graffiti, privacy, security, decorative, as well as bomb blast window films. Whatever window film you choose, your window film will exceed your expectations! Normal windows block only 11% of the suns UV rays. Installing window film can increase your protection to 99%. This means your furniture and floors will be protected from the suns UV rays that cause fading. Window film keeps heat out of your home by blocking it at its source, your windows. This will keep your homes energy costs down, saving you money on your annual energy bills. These films can reflect the heat away from your windows without the need for extremely dark window tints. Our experts can help you decide which window film will work best for your particular situation. Window film is often thought of as being extremely dark. This is a common misconception with window film. A majority of the window film we install is clear and might even go unnoticed after installation. This means the view from your windows will remain crisp and clear. If you are interested in darker or reflective window film, you can learn more on our Window Tinting vs. Window Film page. If you’re interested in saving money on your summer energy bills, window film can help. Installing window film can block the heat from entering your home without the need for extremely dark tint. This means you won’t need to run your air conditioner as much, saving you money on your energy bills. Since window film can pay for itself in as little as 2 years, it makes it a solid investment. The glare of the sun can be overwhelming, especially here in Salt Lake City. In fact, it can be so bad at times, it leaves entire rooms too bright and uncomfortable to use. Take back the best rooms in your home and the views you love by having glare reducing window tinting applied to your windows. This film drastically cuts down on the intense glare of the Salt Lake City sun without any loss of clarity through your home’s windows. The suns UV rays can cause floors, furniture and artwork fade making them look old and worn out. UV protective window film can protect your home by blocking up to 99% of these harmful rays. Additionally, window film can reduce the glare from the sun on computer and TV screens, so you won’t have to pull the blinds in the middle of the day to watch TV or use your computer. The need for privacy in an increasingly dense world in growing. Privacy is not only convenient, it is a way to keep your family and belongings safe from harm. Window tinting is a great way to give your home a bit more privacy from the prying eyes of the outside world without obscuring the views you love from the inside. Best of all, privacy window film gives your home man of the other benefits of window film at the same time. The sun here in Salt Lake City is intense and can cause damage to your skin right through your home’s windows. Window film has the ability to block 99.9% of the sun’s harmful rays and is rated an SPF 1000 when it comes to skin protection. Don’t let UV rays into your home to hurt the ones you love–protect yourself and your family with UV blocking window tint. We live in an increasingly dangerous world. No home is safe from being targeted for burglary or break-in, even here in the relatively safe city of Salt Lake. Security window film is strong and will keep a would-be criminal out of your house long enough for you to escape and/or first responders to arrive. However, in most cases, criminals are looking for a quick score, so when they encounter security film, they often move on to an easier target rather than the repeated blows need to penetrate security window film. For Commercial spaces in Salt Lake City all the benefits of window film for homes, of course, apply. However, window film provides additional benefits that are a powerful way to protect and increase your commercial profits. As a commercial building owner in Salt Lake City, one of your biggest assets is the exterior of your building. By having decorative window film applied to the glass windows and doors of your building you harness the branding power of your property and turn it into more profit. These high definition films are proven to attract more walk-in traffic and higher-end tenants. The best part is these films are just as easy to remove as they are to apply, meaning no permanent structural changes to your building and the ability to adapt your messaging from time to time. The quality of life here in Salt Lake City is second to none and we live in a relatively safe city. However commercial and public buildings, even in safe cities, still need to protect themselves against the increasing threat of ballistics attack due to terrorism, lone gunman, or gang-related violence. The best thing and only thing you can do is–be prepared and take measures, like window film, to mitigate the damage in the event of an attack. Premium window film, window film adhesives like C-bond and special security window attachment systems keep your windows from shattering and exploding out in the event of a bomb or ballistics attack. While no window is truly bulletproof, security window film will slow down an intruder for precious seconds or minutes, giving those inside a chance to escape until first responders arrive. The 20th is gone and gone with it is the window finishes of questionable taste. Not only do these brown, yellow and amber tints look dated, their tinting technology is simply obsolete. If your Salt Lake City commercial building looks dated and old you are losing out on valuable tenants and foot traffic and therefore profit. Additionally, your commercial space is not getting any of the benefits of window tinting in full, which means you could literally be throwing money out the window. Window film is an easy way to update your Salt Lake City building’s windows at a fraction of the cost of full window replacement plus start getting all the window tinting benefits you need to compete in today’s commercial investment world. Window Film Salt Lake City is acclaimed for providing innovative, affordable window film solutions for both residential and commercial applications. We’re proud to help our community transform dysfunctional, existing rooms into practical, comfortable spaces. 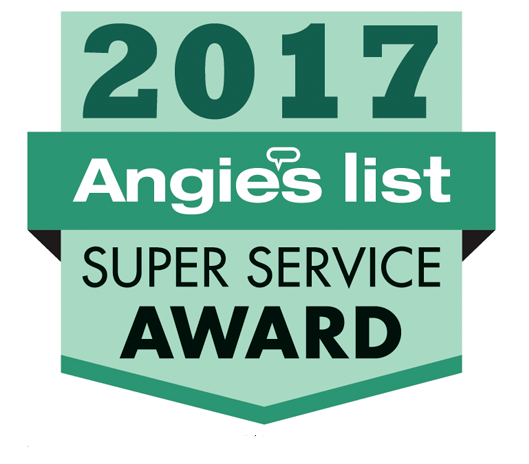 Our award winning customer service sets us apart from other window film contractors. Experience the Scottish Difference and discover solutions with a great ROI.